The autobiography of the fastest man of all time and a superstar whose talent and charisma have made him one of the most famous people on the planet. Whether you know Athletics or not, and even whether you know sport or not, chances are you know Usain Bolt. The fastest man on the planet, not just now but ever, Usain has won the hearts of people everywhere with his mind-blowing performances and his infectious charisma - uniting supporters around the world. 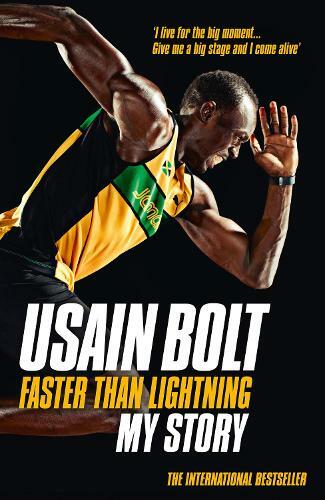 In this, his full autobiography, Usain tells his story in his own words: from humble beginnings in Jamaica, to international stardom at Beijing and on to the new heights of superstardom he has reached since lighting up London 2012. Full of the charm and charisma that has made him the most popular sporting figure of our time and a universal celebrity, this is a book that Usain's millions of fans will love.